Most of us want to know how to lose weight, and even more importantly, how to sustain our hard-earned weight loss. There’s so much conflicting information about how to lose weight, it’s enough to make your head spin. I want to clear up the confusion about how to lose weight properly. To answer the question about how to lose weight, I want to share this guest blog written by Sandi Feaster with you. This blog was first published on her T60+ Turning 60 and Beyond website. Sandi Feaster, RN, MS, MBA, CHC, CPT and her husband, William Feaster, MD, MBA, are both beyond 60 and are actively engaged in living a healthy, and hopefully long life. They were inspired to delve into health & wellness and create T60+ as a result of watching many of their peers suffer from preventable lifestyle issues. They firmly believe that aging well can be an incredible fulfilling journey. Their mission is to help more people take control of their health so they can age gracefully. The magic is…. drumroll, please. There is no magic. Sorry to disappoint everyone. You alone hold the power in your hands and how you balance the scale is your choice. A myth that is prevalent among dieters wanting to lose weight is that more exercise is the key. 3,500 calories are approximately 1 pound of fat. To lose weight, you need to burn about 3,500 calories a week to lose 1 pound each week. What does that mean per day? If you cut 500 calories a day from your diet, you can lose 1 lb. a week. Sounds easy, yes? Cutting calories requires that you change your pattern of eating. It doesn’t have to be difficult and you don’t need to follow the current trendy diet. What you do need to is to shift your mindset and be motivated to be successful. When you believe you can be successful, you can be successful. Step away from high-calorie items, they might include ice cream, cocktails, fries. Just don’t do it! Switch high-calorie foods for lower calorie options ( example: instead of the bad white carbs like spaghetti and rice, use zucchini noodles or cauliflower rice and then put on your pasta sauce, etc.). Start with a few small changes. Rome was not built in a day and you won’t lose weight with just one day of dieting. It’s a journey, be patient. Reduce your portion sizes – choose a salad plate as your dinner plate. You might be amazed that with the smaller plate you still get full. It takes about 15 minutes for your brain to register that your stomach is full – so give your poor brain the chance to catch up. Skipping one or two high-calorie items in your day will get you started. For example, you could skip your morning latte and get a coffee with some low fat milk (might even save some money). If you normally have soda or a cookie at lunch – replace it with sparkling water and fruit. How about that bowl of ice cream after dinner, replace it with a small piece of dark chocolate candy, a much smaller treat and less calories as well. Plan your day. Think about what you eat and drink each day and identify items you could cut out. Meal preparation is essential. Having fruit and low calorie substitutes ready is essential. Like the runner that has their clothes out and ready for the run first thing in the morning – it will increase your success rate. For more information about substitutions, portion sizes, and healthier options to help you lose weight, go to the Mayo Clinic website. 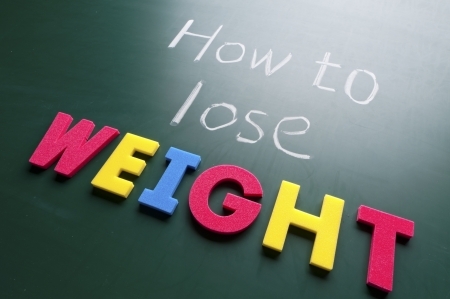 Click here to read Sandi’s original blog about how to lose weight.